Evy and Brandon both finished up their fall swimming lessons this week. 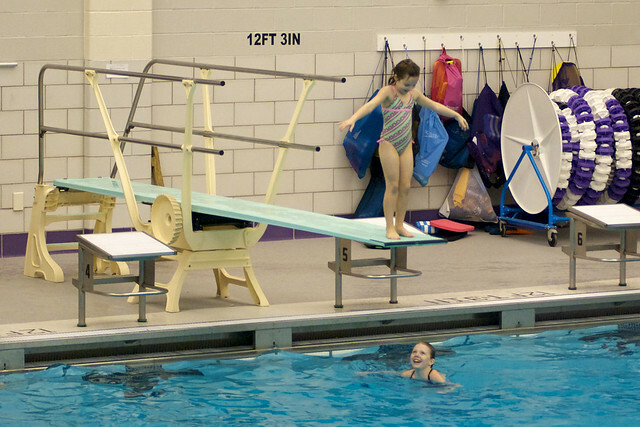 Evelyn's favorite part was jumping off the diving board. Brandon also liked jumping in the pool. But from a sitting position on the side. I wonder if they'll remember any of the skills they learned in seven months when it's warm enough to swim. 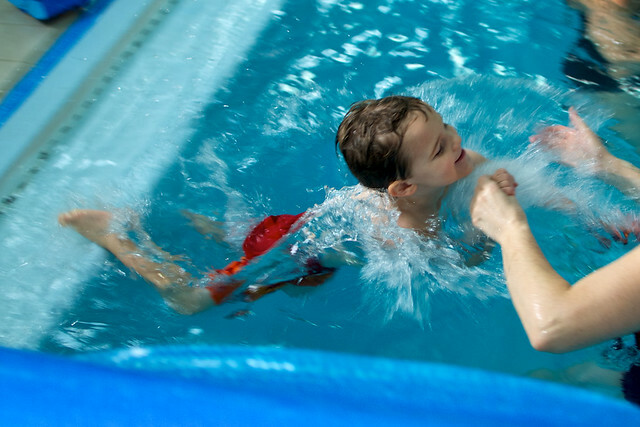 More photos of swimming lessons are on Flickr.